SAN DIEGO, Calif. /California Newswire/ — Bank of Southern California, N.A. (OTC Pink: BCAL / OTCMKTS:BCAL) has been recognized as a top small business lender in San Diego County based on the volume of SBA 7(a) loans originated according to the San Diego District Office of the U.S. Small Business Administration’s fiscal year-end lender rankings as of July 31, 2016. 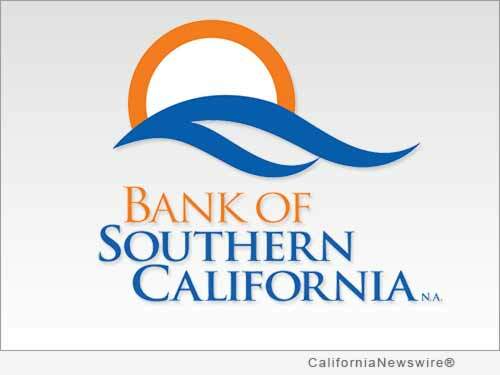 “Bank of Southern California continues to be a leader in marketing SBA loans, and has ranked as a top business lender year-over-year, which is a strong indicator of the bank’s commitment to supporting small-to-mid sized businesses in our community,” commented Tony DiVita, Executive Vice President and Director of Sales for the bank. “The bank continues to maintain a SBA Preferred Lender Program designation which streamlines the underwriting and closing of SBA-guaranteed loans. PLP status is granted to lenders by the SBA based on their solid track record of working with the SBA and the ability to demonstrate a high proficiency in underwriting and servicing SBA guaranteed loans. The combination of being a Preferred Lender, along with local decision making allows Bank of Southern California to deliver timely credit decisions and exceptional service to our clients,” concluded DiVita. To learn more about Bank of Southern California, visit www.banksocal.com. A growing community bank, established in 2001, Bank of Southern California, N.A., with headquarters in San Diego, Calif., is locally owned and managed, and offers a range of financial products to individuals, professionals, and small-to-mid sized businesses. The bank’s solution-driven, relationship-based approach to banking provides accessibility to decision makers and enhances value through strong partnerships with their clients. The bank currently operates seven branches in San Diego and the Coachella Valley in Riverside County. For more information, please visit http://www.banksocal.com or call (858) 847-4780.